The hilarious preface of Griffin’s biography about Pierce—my previous post: here—shows what I have been trying to say: that Little Red Riding Hoods, as I call women in my soliloquies (“Caperucitas” in my native language) have no place in a Syssitia guild for priests of the 14 words. Las Caperucitas think with their emotions, not with their heads. Our guilds must be Boys Only Clubs. Here in Mexico the only whites who have remained pure blooded Aryans for generations are the Mennonites. They forbid their Little Reds to learn Spanish—the language to contact the mud world—and know only a sort of German dialect. After The Day of the Rope the surviving wolves will have to reinstate old fashioned marriage, patriarchy and control their women. See also another hilarious piece, “Lycanthropy” or “How will the Castilian Wolf deal with Little Red Riding Hoods after the crash”. 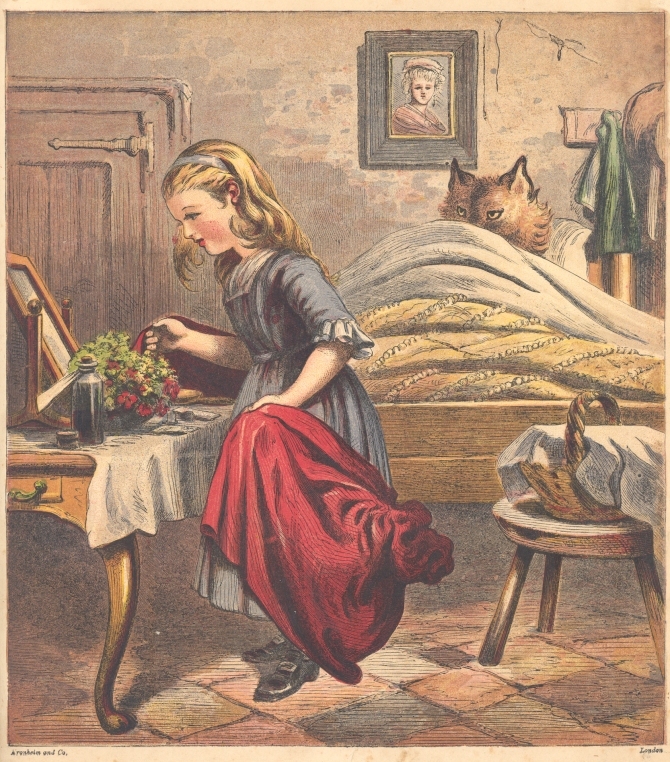 Remember, that in the uncensored story of the little red riding hood, she in order to get past the were-wolf bribed him by stripping naked for him. Vb, your right that a lot of people think marriage will solve their problems. i see so many people that hate each other yet stay together locked in some crazy abusive relationship. i think to few people take their vows seriously and think marriage is some kind of game. it takes work I’m thank the gods everyday that i met my wife, and that we are two halves of a whole. and yes to many men think that marriage means that women should be barefoot in the kitchen making sandwiches. a lot of it has to do with christard mentality, which never valued women. —makes me think again what I’ve been thinking for a long time: that WNsts are completely clueless that they are part of the problem as well as part of the solution. And this also works the other way around. Make sure your sons do know the enemy languages. Thanks for the heads-up on Mennonites, who sound very interesting. I’ll read up on them. I understand that they’re pacifist. I wonder if a warlike version of Mennonites is possible. Racist, Genocidal Neo-Mennonites sans Christian axiology; now there’s a thought.